Combining highly-flexible steel cords of a high tensile strength, embedded in wear resistant Polyurethane, flat belts are a maintenancefree, low noise, space and cost saving alternative to chains and cable tension systems. 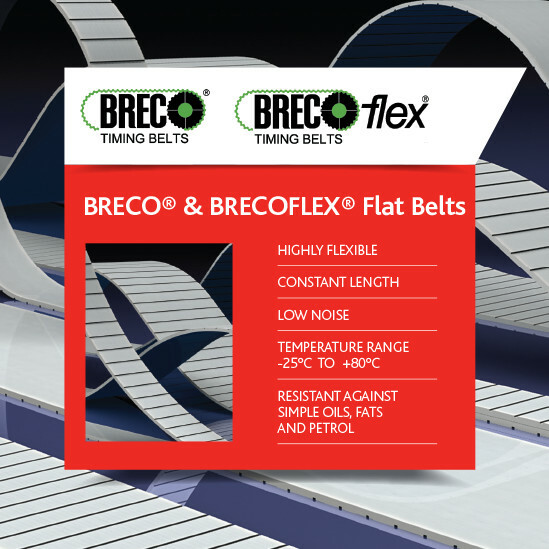 These characteristics favour the increasing range of applications of the BRECO® flat belt. Fitness machines, lifting tables, elevator systems and car wash stations are only some of the numerous application possibilities, where the BRECO® flat belt offers the best solution.